You are here: Home / Toddler Parenting / How to survive if your baby has infant colic. Do you have a baby with infant colic? As someone who has been through that (twice!) I feel for you. Before my daughter was born, I had heard of colic but didn’t really know what it was, and I certainly didn’t think that it was something that my child (and our whole family) would have to deal with. I definitely didn’t think it would make the first 18 months of being a new mum such a difficult experience. 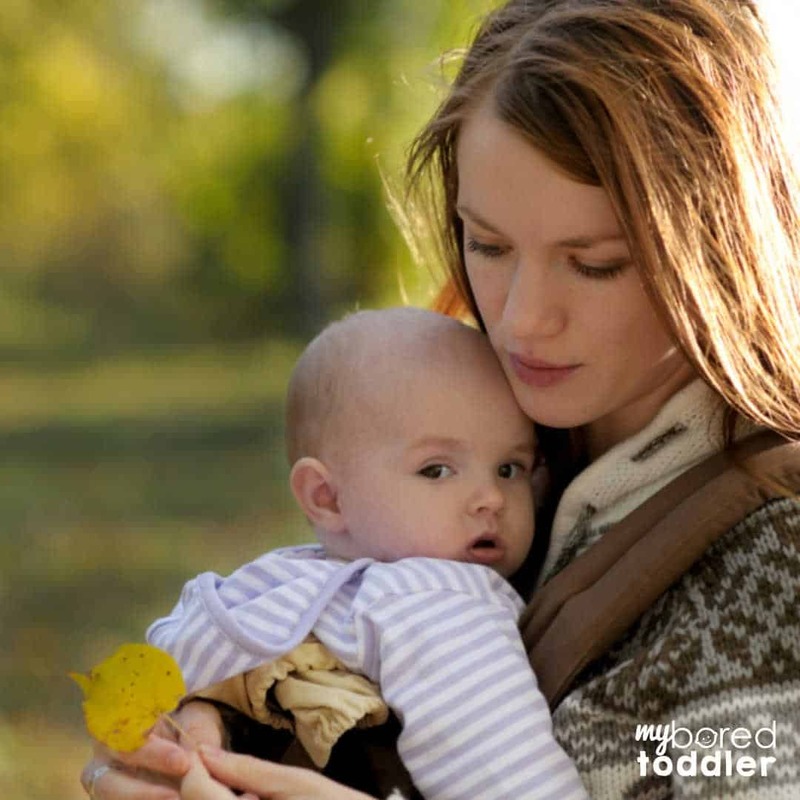 For us the main symptom of this was a very upset baby – ALL THE TIME! She would cry constantly, and it was a heart wrenching painful cry as the colic caused her severe pain. She also rarely slept for more than 45 minutes at a time (yes, 45 minutes!). Because of this we found car travel excruciating (she would SCREAM the entire journey), prams difficult (she hated laying down) and felt a huge sense of isolation as going out was really difficult. Now I’m not a doctor, and this article isn’t intended to give you medical advice. 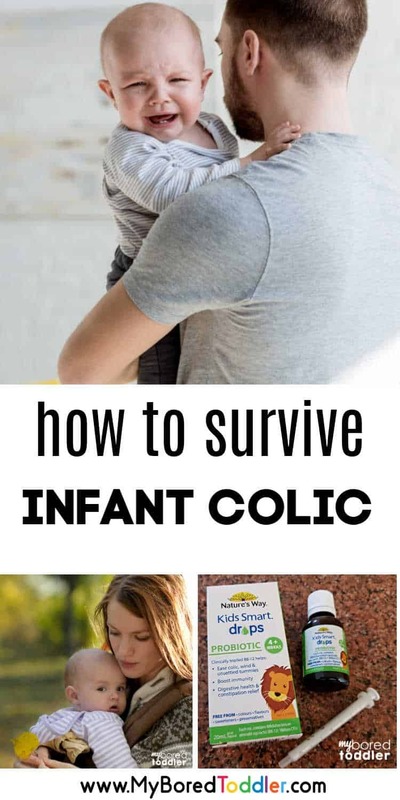 However, below are a few tips which may help you survive colic. If you believe your child may have colic or another associated condition, please speak to your GP or a medical professional and be firm in your concerns. I know I’ve mentioned this already, but I wish I had done this sooner. There are medications that your GP may be able to prescribe to help. Try to find a GP who understand reflux. Colic already made my daughter cry too much, but reflux only made it worse. We finally worked out that the main trigger for my daughter’s reflux was dairy. Now eliminating dairy didn’t stop the reflux but it definitely helped. If you’re breast feeding try cutting out the foods that you think are irritating your child and if you are formula feeding there are dairy free alternatives out there that your doctor may recommend. If you want something for colic relief then I think Kids Smart Probiotic Drops are a good option. 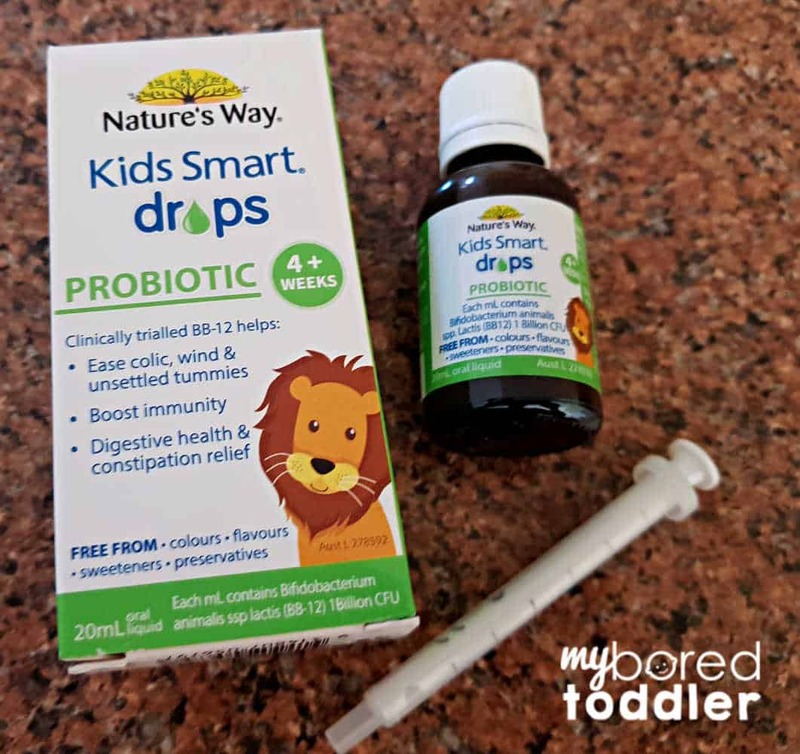 Nature’s Way Kids Smart Probiotic Drops are a great way to help ease wind and help settle little tummies. They can help relieve symptoms of infant colic, decrease flatulence, relieve symptoms of stomach upsets, support general digestive health and immune system function. If you consider purchasing this supplement, before you do so always read the label and follow the directions for use. If symptoms worsen or change unexpectedly, talk to your GP or health care professional. We found that laying down was when my daughter was at her worst. We would try to keep her upright as often as possible, especially after a feed. A carrier like a Baby Bjorn worked so much better than a pram for us as she could be almost completely upright. A bouncer was a saviour because it was upright. We never did get her to sleep well and for day naps (and often night time too) she would often fall asleep on us while we were sitting up, because it meant she could sleep upright. By this point I was so exhausted a chance to sit down for a while was fine with me. This time I’m not talking about medical help, but help from your friends and family. If your child has severe reflux there’s a good chance that no parent is sleeping well, eating well or even coping well. Ask people for help. We didn’t do this straight away and I wish we had. Ask them to shop for you, cook for you and clean for you – most people will happily help. When they say ‘Is there anything I can do’, say YES!! 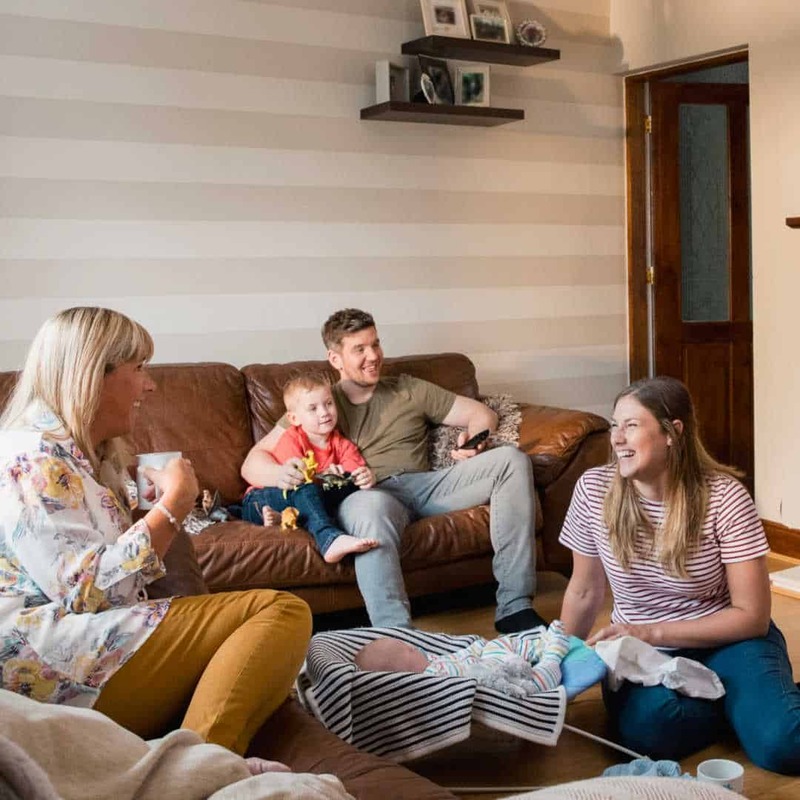 If your baby hates the car and the pram like ours did, you’ll find that you spend a lot of time at home. Being at home with a screaming baby for the majority of the day is not great for your mental health. Invite friends and family over. Don’t worry that the house is a mess or that you haven’t showered and have no food in the house – true friends won’t care (they might even bring you a coffee and snack!). If you have a child with infant colic and would like to chat more you can join our Facebook group and keep the discussion going.